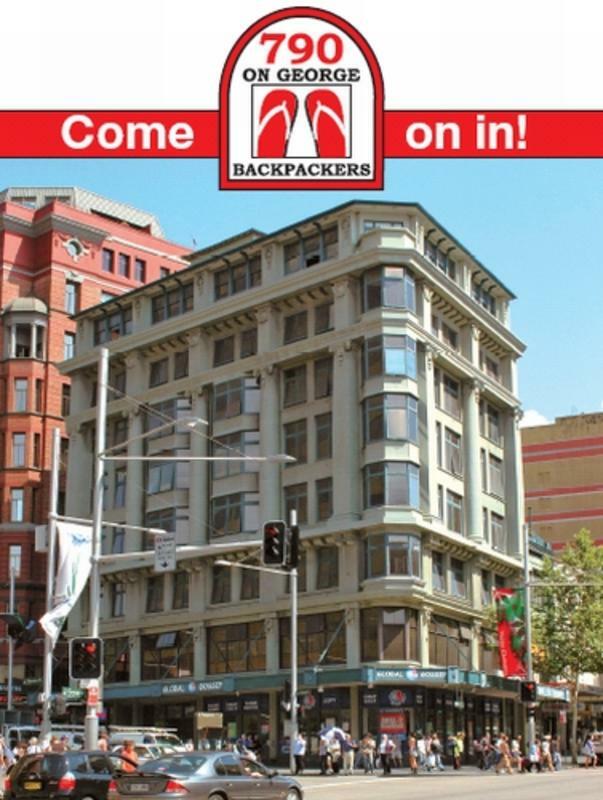 Sydney's Friendliest Hostel - Your base in the heart of Sydney! Come stay with the 790 family where you can enjoy our unique hospitality and wealth of local knowledge. Friendly staff, clean rooms & bathrooms, cosy common rooms and of course, flip flops. That's right, look the part in your own pair of 790 on George flip flops! 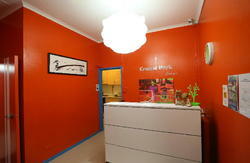 Our aim is to be Sydney's best value hostel. You won't find a better priced, better located and better staffed backpacker haven. Want to meet other travellers? Then hang out in 'the basement' - a real traveller's hub. It's the perfect place to hang out before you head out on the town. Or relax and enjoy a conversation, share some goon with your new friends, play some tunes, use the net or WIFI, cook up a storm in the fully stocked kitchen, have a late night snack or even do your laundry. Up on level two is our supped-up common room. Settle in and watch a film on our big screen TV, or jump onto one of our computer terminals and get in touch with friends back home. You can even hang out here after you've checked out while you wait for your bus, plane or train! Oh, did we mention checkout was at 11am? And if you're still feeling lost, come have a chat with one of the staff. Between us we speak English, Spanish, Korean, Arabic, Vietnamese and Nepalese, and we could probably fumble our way through some others if we had, so there will always be someone around you can speak to! So, why stay with us? Why not? Were the only hostel in town offering an 11am checkout, none of our dorms are bigger than 6 beds so you know youll get a good sleep, we have universal powerpoints in lockers to charge your electronic equipment, and if there is a problem reception is open 24hrs! PLUS were located just three minutes from central station and bus terminal, all bed linen provided on check in, and we have luggage storage for those of you waiting for a late flight/bus trip! At 790 on George you've made it to the true centre of Sydney and chances are you are only a few minutes walk from your destination. Whether you're heading to the Opera House, the Sydney Harbour Bridge, The Rocks, Darling Harbour, the Botanic Gardens, or Sydney's fabulous galleries and museums, they are just moments away on foot. There's always more to discover when you are walking through the uniquely diverse streets of Sydney. And if you get tired just head back to your oasis in the middle of it all! From Airport - Take train (14AUD), 790 on George is directly opposite Central Station. Take the Eddy Avenue exit and we are at the corner of Eddy Avenue and Pitt Street just next to the YHA.